Electric bikes have been in use in urban areas for years. They’ve been growing in popularity across the globe. So it was only a matter of time before they became available for mountain biking too. As batteries and motors have become more efficient, smaller and lighter, electric mountain bikes have become more usable for riders. Riders can find eMTBs built for all types of riding. Electric mountain bike kits are also available, allowing riders to add power to their favorite traditional bike. 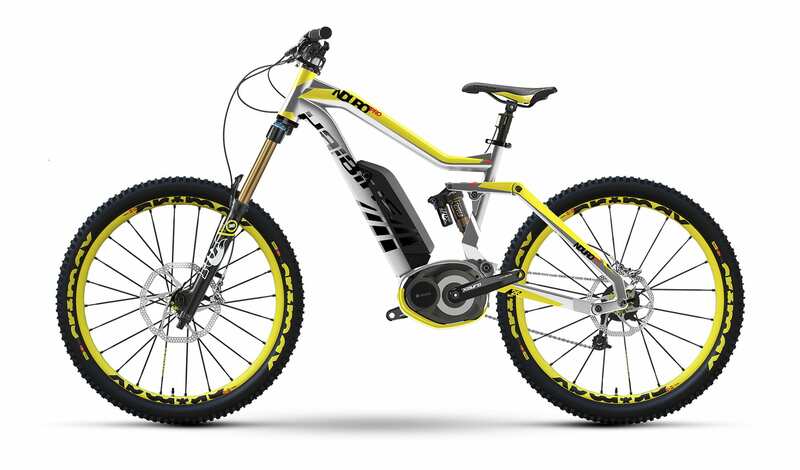 1 How does an eMTB differ from other electric bikes? 2 What should you look for in a well-built eMTB? 3 Will electric bike kits work for mountain biking? 4 How does an eMTB compare to hitting the trails on a non-powered MTB, or an ATV? 5 Where can you ride and where can’t you ride? How does an eMTB differ from other electric bikes? Like with traditional bicycles, electric mountain bikes differ from those designed for street or urban use. Where traditional eBikes are designed for speed and distance, eMTBs are designed to stand up to off-road terrain, including gravel and dirt trails, mud and snow. According to Chooserly.com, just like the non-powered kind, the best electric mountain bikes have thick tires and strong wheels that can handle the impact of off-road riding without being damaged. Motor and battery placement needs to be more centrally located on an eMTB because of the added need for maneuverability and balance. Centrally mounted motors and batteries work best for off-roading. This is especially true for downhillers, who need the stability of even weight distribution. Another advantage to centering the motor is that it makes changing a flat tire on a steep hillside much easier, since the motor is mounted between the pedals instead of on the axil of the rear wheel. What should you look for in a well-built eMTB? Electric mountain bikes come in a variety of styles for a variety of uses, just like non-powered mountain bikes. You’ll find a full range of 26-inch to 29-inch styles: fat bikes, hardtail, full suspension, even bikes pitched specifically for down hilling. So the kind of mountain biking you want to do will determine which style is best for you. But there are some common traits to look for. Like with any mountain bike, the best electric mountain bike will have a frame that’s built to withstand the stresses of trail riding. Frames made from aluminum, carbon fiber, steel and titanium can all be built to take the punishment. A good suspension system will protect the rider from the vibration and impact of a rough trail, by letting the wheels absorb punishment. And like other mountain bikes, a good eMTB will generally have flat handlebars with allow better balance and control by keeping rider upright. Since the point of powering your bike is to keep from running out of steam on the trail, battery life and placement matter. Modern electric mountain bikes use lithium-based batteries because they are lightweight and have a high capacity. Even so, batteries can still weigh 5-10 lbs or more. So the battery’s position can influence the bike’s handling. A battery mounted on the sloping tube of the frame causes have a shorter chain stay than those mounted in other positions, so they affect the ride less. It will vary some depending on terrain, wind and rider weight, but a good eMTB should be able to go 20 miles or more on a single charge. 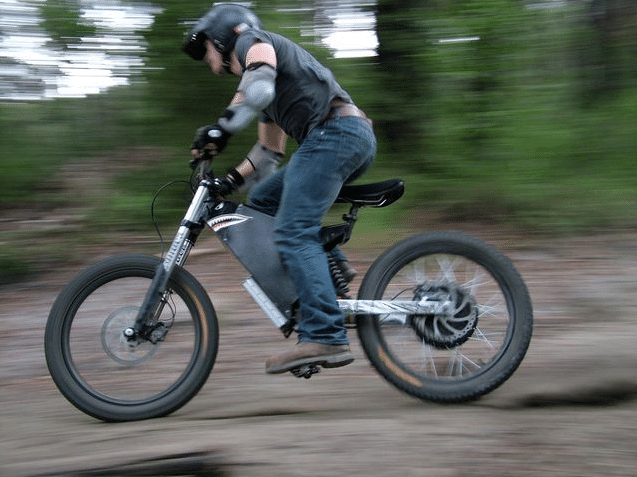 An electric mountain bike should also have a torque sensor, so that the electric motor can automatically adapt to how hard the rider is pedaling. That allows for a more natural riding experience, but gives the rider more power when needed. Several major brands offer a variety of models with torque sensors. Whether you’re planning to buy a pre-built bike or you want to use an electric mountain bike kit, it’s important to try out your first bike before you buy it. You need to sit on the bike to know if it’s going to fit your ride. Many local bike shops now offer electric mountain bikes and conversion kits. So get to know your bike shop. Will electric bike kits work for mountain biking? In a word, yes. This is especially true if you stick to kits designed with mountain biking in mind and if you are primarily trail riding cross country. Many kits won’t hold up to the heavy impact demands of down hilling. Like when buying a pre-built eMTB, there are certain qualities that work best. Look for a system that won’t compromise your bike’s balance. Hub mounted motors can adversely affect maneuverability, where centered components create the least imbalance. How does an eMTB compare to hitting the trails on a non-powered MTB, or an ATV? Electric mountain bikes make mountain trails more accessible to more people. An electric bike gives you motorized support. It lets you climb a little easier, go against the wind a little easier. That means casual riders, older riders and those with chronic issues, like bad knees, can still bike the trails they love. More experienced riders can go the extra mile even as they’ve reached the limits of their stamina. Electric mountain bikes do weigh more than non-motorized bikes. A traditional mountain bike might weigh around 25 lbs, but an eMTB weighs closer to 50 lbs. That’s because of the added weight of the motor and battery pack. The motors on eMTBs do make some noise, but they are much, much quieter than ATV engines. Pedal assisted electric bikes are especially quiet, with the noise of the motor frequently about the same as the sound generated by the tires on the trail. Since they are electric, they also don’t create any exhaust, so they don’t harm the woods or leave noxious fumes that irritate other riders and hikers. Like other electric bikes, eMTBs have an environmental impact similar to standard bicycles and walking. Where can you ride and where can’t you ride? In most places, electric bikes are allowed anywhere a traditional bicycle can go. That includes mountain bike trails, as long as they are Class 1 (pedal assist up to 20 mph). Heavier, faster and throttle controlled electric bike access is more restricted. You can bookmark certain pages and periodically check them later for updates. mentioned he thought it would be too ruff to live in ours.